A new survey shows that adulterers indulge in long-distance affairs, with some travelling thousands of miles to see their lovers. 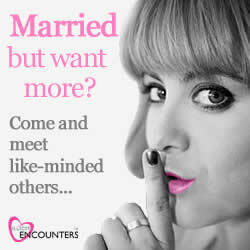 IllicitEncounters.com, the UK’s largest married dating website surveyed 672 of it’s members and found that the average distance an affair seeker normally travels is 30 miles.However the distance the adulterer would prefer to travel is 90 miles. The study also revealed that the average number of affairs a customer has is 4 with little difference between genders. Only 9% of members said they would prefer to travel under 15 miles for an affair with many members stating that they don’t want romantic liaisons too close to their own doorstep. Some members admitted travelling as far as 5,000 miles to enjoy their fling.